Joanie Gervais (Saguenay, QC) finished fourth in the women’s 500m on the second day of the short track speed skating competition at the 2015 Winter Universiade in Granada, Spain. Gervais, who studies in kinesiology sciences at Université du Québec à Montréal (UQAM), came up with the best Canadian performance of the day with a time of 43 seconds and 963 hundredths, a personal best. She was 146 hundredths of a second away from a podium result. “I came up with a personal best time, so I can say that I did the best I could,” she added. 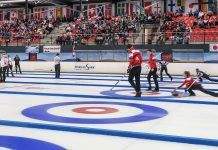 The Canadian team has come up with three fourth-place finishes so far in short track speed skating events at the 2015 Winter Universiade. Keri Morrison and Pascal Dion both ended up one place away from a bronze in the women’s and men’s 1500m on Wednesday. China’s Han Yu Tong, bronze medalist in Wednesday’s 1500m race, skated to a gold medal in 43.573 seconds in Thurday’s 500m, ahead of South Korea’s Son Hakyung (43.655) and Lithuania’s Agne Sereikaite (43.817). This fall, Gervais took part in four ISU World Cup stages, skating in the 500m events in Montreal and Shanghai, and coming up with a sixth-place finish in the 1500m held in Montreal. Gervais finished ahead of her teammate Caroline Truchon by 124 thousandths of a second in the semi-final, Thursday, to earn her spot in the final. Truchon, who studies in international relations and international law at Université du Québec à Montréal, ended up fifth in overall standings. On the men’s side, Samuel Bélanger-Marceau (Saint-Bruno-de-Montarville, QC) was the top Canadian. A student in rehabilitation sciences in physiotherapy at McGill University, he was eliminated in the quarterfinals and finished 14th overall. 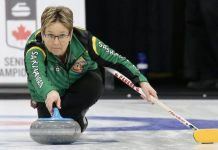 In Thursday’s semi-final, Joanie Gervais, Namasthée Harris-Gauthier (Montréal, QC), Jamie MacDonald (Fort St. James, B.C.) and Caroline Truchon came up with the second-best time (4:19.564) behind China (4:17.798) and ahead of Ukraine (4:26.769). The Canadian women will go up against China, South Korea and Japan in the final. The men’s relay, comprised of Samuel Bélanger-Marceau, Pascal Dion (Montréal, QC, borough Rivière-des-Prairies – Pointe-aux-Trembles, QC), Yoan Gauthier (Rivière-du-Loup, QC) and William Preudhomme (Toronto, ON), saw their medal hopes vanish by 105 thousandths of a second as they finished third (7:00.174) in their semi-final, behind Russia (6:59.827) and France (6:59.969). They will race in Friday’s B final along with South Korea, the United States and Poland. The 1000m races and the relay finals will take place on Friday. Samuel Bélanger-Marceau, Pascal Dion, Yoan Gauthier, Namasthée Harris-Gauthier, Keri Morrison and Caroline Truchon, as well as the men’s and women’s relay teams – the participants are still to be determined – will be in action.